Every place you visit around the world is known for their own certain food specialties and delicacies. In Halifax where I was born and raised our specialties are garlic fingers, lobster rolls and donairs. Chicago is known for deep dish pizza, Berlin is known for curry wurst, Texas is known for its BBQ, etc. On my recent trip to Newfoundland aside from moose and seal flipper pie I learned about some of the very specific Newfoundland food specialties and delicacies. Here is some of the interesting food in Newfoundland. The bakeapple. Also known as cloudberries, this fruit can be found across Canada however it is extremely popular in the summer months in Newfoundland. The fruit grows wild on low plants in marshy bogish areas with only one fruit growing per plant. Its a taxing job to go bakeapple picking if you can even find them to begin with. Many Newfoundlanders are very secretive with their bakeapple picking spots and some even go to the extremes of stopping at various places on the way to their favourite spot to throw people off in case they are being followed. 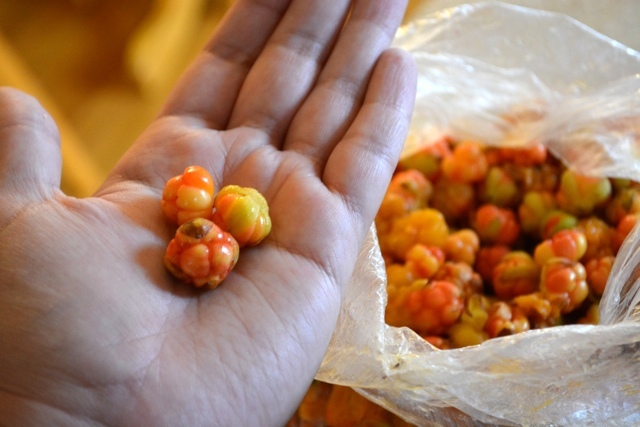 Bakeapples are tart and have little seeds inside similar to a raspberry. Most commonly people make bakeapple jam with them and bakeapple cheesecake. Iceberg beer. 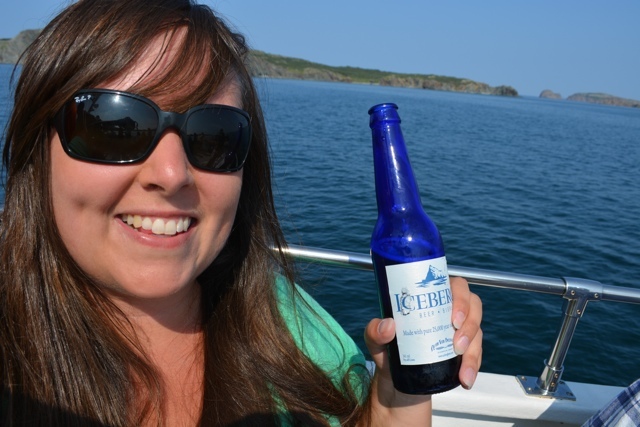 A popular beer company in Newfoundland is called Quidi Vidi and one of their most sought after beers is their Iceberg beer. During iceberg season Quidi Vidi harvests pieces of iceberg from the many icebergs that drift from Greenland to the province as they melt in the spring and summer. They then melt down the bergy bits and use the ancient water to make Iceberg beer. Iceberg beer is nice and refreshing especially to have while on an iceberg watching tour. My favourite part however is the fancy blue bottle that it comes in. Toutons. A touton is literally a pan fried ball of dough. 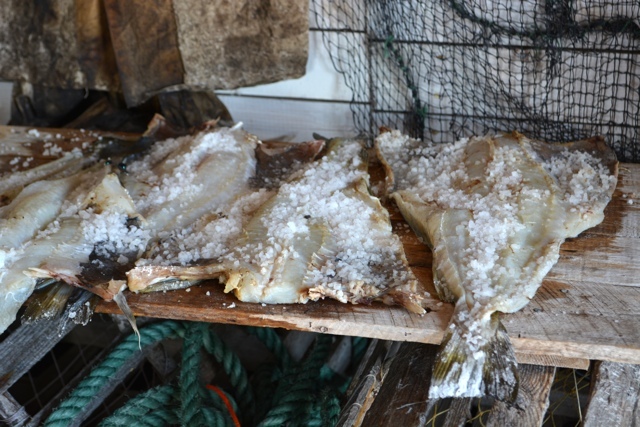 A popular breakfast food in Newfoundland, however people can often find an excuse to eat them any time of day. Served warm, people eat them with butter or molasses and sometimes butter and molasses but then the big question is which do you put on first? While I was in Newfoundland I also enjoyed a touton sandwich which was two toutons flattened out with ham, cheese and egg thrown in the middle for quite the tasty breakfast sandwich. 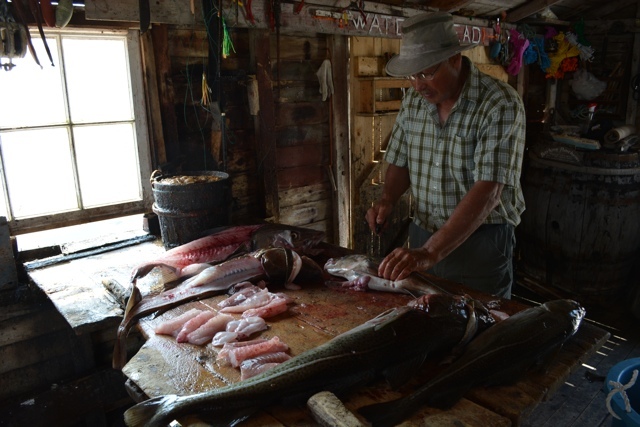 Captain Dave Boyd cleaning the cod and cutting filets. Cod, cod, cod. Newfoundlanders love cod. There use to be so much cod around the waters of Newfoundland that they would slow ships down. Canadian Heritage moment flashback. However sadly the cod fish have now been over fished. 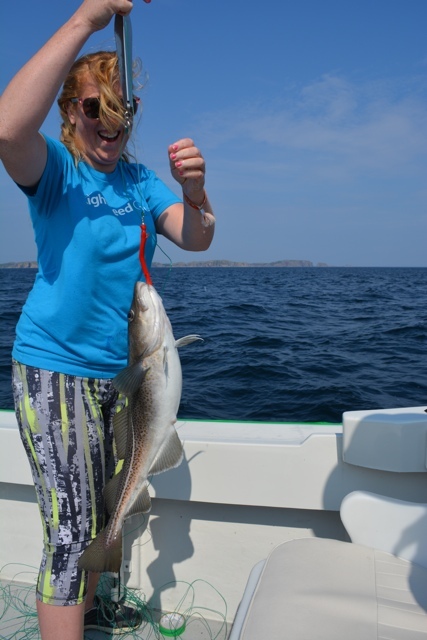 These days there is a fishing moratorium on cod fish in Newfoundland but I was lucky enough to be there during one of the only couple of weeks each year that you are actually allowed to go cod fishing. Each boat is allowed to only catch 15 cod per trip. When we went out fishing with Captain Dave Boyd of Prime Berth: Iceberg, Whale Watching and fishing tours we had 15 cod on our boat in roughly 20minutes. Captain Dave has been fishing for 61 years and he knows how and where to fish. Cod fish filet at the Twine Loft restaurant in Trinity, Newfoundland. While there we also dined on Jigs dinner, icebergs, the best soft serve ice cream in Newfoundland and more. To watch my funny experiences with these foods hit play on the video below. Honorable mentions go out to moose meat and seal flipper pie. Have you been to Newfoundland? What would you like to try or What is your favourite Newfoundland food? You left out being “screeched-in” and enjoying a “A Wicked Scoff” of a traditional “Jiggs Dinner” with Pease pudding and figgy duff. Don’t forget Cloudberry and Partridgeberry Jams to go on those Toutons. Sorry, No, I didn’t watch it until just now, I saw where you had bakeapples which are cloudberries. It was an excellent video, it brought up some great memories. Yes, but I ate them almost everyday when I was in St. John’s and Gander. So to me it still needs to be added to the list of food to try when you are there. You need to give me the Halifax recipe then, if they are better, because I thought they were great in NL. You’re welcome. I can also give you some good tips for places like New York, Philadelphia, Tampa, Miami, San Francisco, San Diego, St. Louis, etc. if you visit there. That was a hilarious post! The food seemed fresh, but I think I wouldn’t be able to eat half of it -especially the tongue!! I’m a Newfoundlander and I don’t eat most of this stuff… I hate fish, and I’ve never eaten anything bakeapple in my life. However, toutons are DELICIOUS and I highly recommend them. I love that you had a chance to eat part of an iceberg and how many unique foods are in Canada, depending on where you are. I’ll have to try to find some Bakeapples when I visit, anything berry like is a favourite of mine. Great video, I haven’t been to Newfoundland since I was a child but I’m craving a trip back. Wow, I learned so much from this post! Great job on the fishing too. Looks like you guys rocked it! 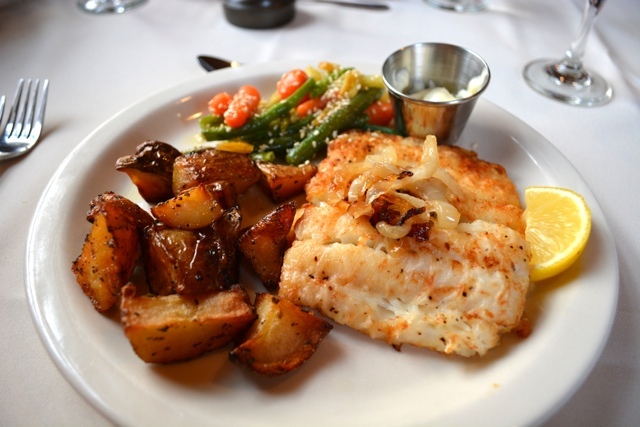 Oooh the cod looks delicious! And though I don’t eat a lot of fried food…the touton sandwich had me drooling. The rest, I could live without (although would love to try iceberg beer), but seriously, toutons? Where’ve you been all my life? My kind of post! 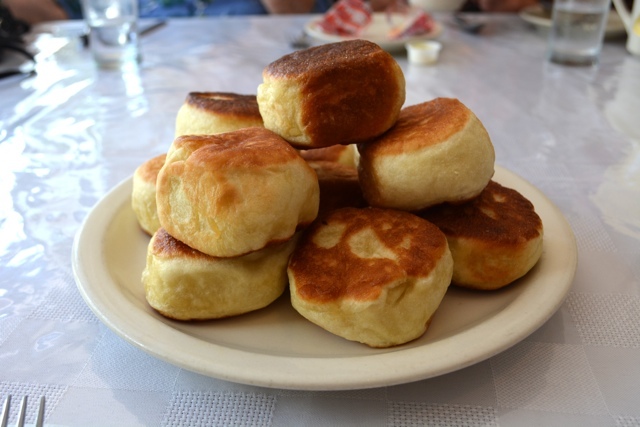 Those toutons look awesome – I know what I’ll be trying first when I visit Newfoundland! Thanks Carol!! It was all tasty! Yes, we visited Newfoundland a couple of years ago. 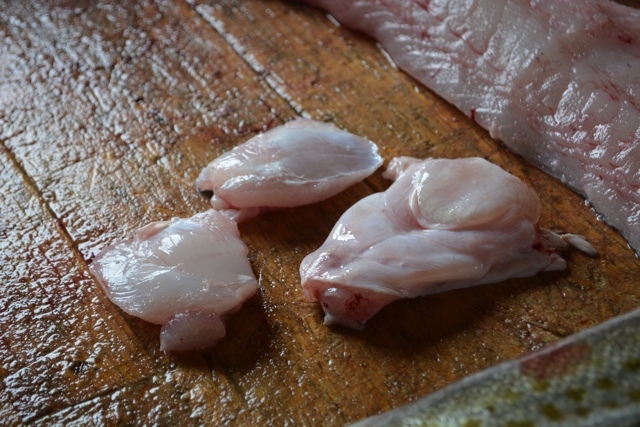 I tried cod tongues but my kids refused to even taste them. They were okay, I found them a bit tough as well. Now the bakeapple jam – that was tasty! Thanks for the NewFoundland food primer! I loved your reaction when you caught that Cod – I’d probably react the same way!